STV is adding the Dundee licence to its portfolio of local licences that already includes Edinburgh and Glasgow. The channel will be called View From the Bridges. The new services will focus on news and current affairs and Director of Channels, Bobby Hain, says the new channel is an opportunity for students to get work experience in a live TV environment. Many local producers are already distributing their content over the web so this is a great platform for local producers to get in front of a broadcast audience. Although the licence awarded is called "Dundee" it is actually based on the Angus tranmitter that serves the city and part of Angus, Fife and Perthshire. 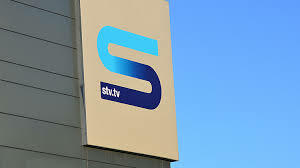 STV Glasgow and Edinburgh launched in June 2014 and January 2015 respectively.